Look, Divi Little Bay Beach Resort Went Solar! Divi Little Bay Beach Resort has found another benefit to the sunny weather in the Caribbean islands; the resort now utilizes the power of the sun to provide energy for its property! The installation of a 157kW solar electricity system was recently completed on the roof of the resort’s main building, and this system produces 15,000 to 24,000 kWh of electricity each month. This project will play a major role in reducing the resort’s carbon footprint and is the most recent development in our company-wide Divi Green initiative. The solar electricity system was installed by OneWorld Sustainable, a company with experience in providing and maintaining photovoltaic systems for Caribbean properties. The company placed solar panels along the roof of Divi Little Bay’s main building, which contains pureocean restaurant, the lobby, the timeshare sales office, staff offices and several meeting and event spaces. This main building will be powered by the photovoltaic system, as will the various stores in the resort’s shopping promenade. The solar electricity system was introduced as part of our Divi Green initiatives, which display our company’s commitment to providing quality vacation experiences for guests while also working to minimize the environmental impacts associated with our operations. The installation of the solar electricity system at Divi Little Bay Beach Resort is just the beginning of our company’s solar electricity plans; we are currently looking into using solar electricity at all of our Divi Resorts destinations! “There is a growing need within the hospitality industry to seek new ways to reduce our hotels’ impact the environment, and Divi Resorts will continually strive to meet this need in any way we can,” says Marco. Want to learn more about our Divi Green initiatives? Read all about it! 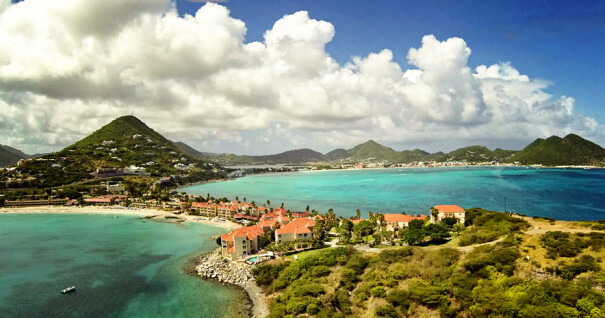 Is your next getaway taking you to the lovely island paradise of St. Maarten? If so, check out our suggestions of what to see, do, eat and drink while you’re there. Bon voyage! The half French, half Dutch island of St. Maarten gives you the experience of vacationing in two countries at once, offering a unique cultural fusion that can’t be found anywhere else. Divi Little Bay Beach Resort is located on the Dutch side of the island, known for its high-end shopping and beautiful beaches, but it is only a short distance from the French side, known for its world-renowned culinary establishments (see “what to eat”). Cross the border to the French side (no passport needed!) to visit the capital city of Marigot, a must-see area for vacationers. As you stroll through this charming city, you may even forget that you’re in the Caribbean and feel as if you’re exploring Paris’ sidewalk cafes and the Riviera’s beaches. This island boasts some of the most beautiful beaches in the world, with crystal blue waters, vast stretches of coastline and breathtaking vistas. Each beach has its own unique characteristics and attractions, so visitors can enjoy a new and exciting experience every day. For relaxation, head to a serene beach like Simpson Bay or Mullet Bay. Other beaches, like Maho Beach and Little Bay Beach, are known for their attractions and activities. Maho Beach is popular among thrill-seeking beachgoers, as it is located at the end of an airport runway where planes fly directly overhead. Our resort’s beach, Little Bay Beach, offers a variety of watersports and activities, including jet ski rentals and snorkeling, and the calm waters are great for kids and leisurely swims. If you want to catch a beautiful sunset, visit the Cupecoy Beach area. This beach is lined with rock formations and caves and offers the perfect location for an evening walk along the shoreline. No matter which beach you choose to visit, you are sure to find your own piece of paradise in St. Maarten! If you want to hit the high seas for a day, join one of the many sailing excursions offered by Aqua Mania Adventures. Soak up the sun while you sail to one of many nearby island destinations, including St. Barts, Saba, Anguilla, Prickly Pear and Pinel, or book a sunset dinner cruise for a romantic and entertaining evening. Aqua Mania Adventures has an on-site location at Divi Little Bay, so you can stop by their booth to see what excursions are being offered during your stay. You can also rent jet skis, paddleboards, banana boats, kayaks, snorkel equipment and more from their booth to enjoy a day of fun water sports. Visit www.stmaarten-activities.com for more information. Many St. Maarten vacationers leave their trip with some very impressive souvenirs after a day of shopping on the famous Frontstreet, located on the Dutch side of the island. The duty-free shopping in this area offers fantastic deals on luxury items like jewelry, timepieces, designer clothing and more. Negotiating prices is a common practice in the island markets and stores, so don’t be afraid to bargain a little to get the best deal! This area is frequented by many vacationers, especially when a cruise ship is docked at the port, so try visiting Frontstreet in the early morning or in the evening to avoid the heavy crowds. Happy shopping! History buffs will appreciate visiting St. Maarten’s forts because of their historical importance, but these forts also attract tourists because they offer some of the best views of the island. The oldest fort, Fort Amsterdam, is located right on Divi Little Bay’s property. It was built in 1631 as the first Dutch military outpost in the Caribbean and remains a popular tourist destination. There is also Fort Louis, which overlooks the beautiful Marigot Bay. Fort Louis was built in 1789 but has been very well preserved, and like Fort Amsterdam, the views from this fort are not to be missed. Even if history is not your favorite subject, you can admire the vistas. While vacationing on St. Maarten, a delicious meal is never far away. 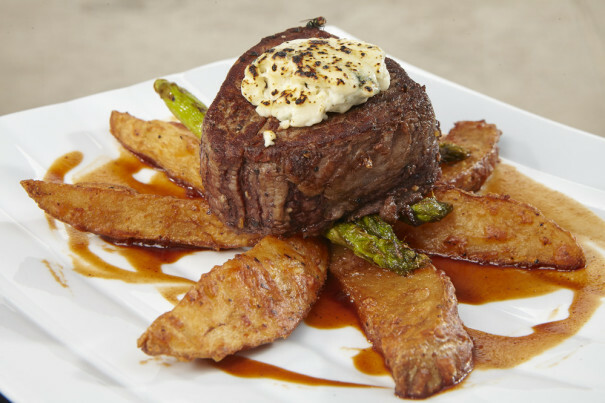 The island has earned a worldwide reputation for its gourmet cuisine, its wide variety of dining experiences and the fusion of flavors in its fare. In fact, it is known as the “Culinary Capital of the Caribbean,” offering over 350 restaurants to satisfy any appetite. No single style of cuisine makes the island famous among foodies, so you can enjoy a vast assortment of foods and flavors. We recommend venturing over to the French side of the island for a meal or two, where restaurant styles range from fine dining establishments to hole-in-the-wall cafés, each with their own culinary specialties. Back at Divi Little Bay, a gourmet meal is never far away! Chef Iwan is always busy crafting up delicious dishes with an Italian flair at our NEW pureocean restaurant, and as a St. Maarten native who has traveled all over Europe, he certainly knows good food! Check out the menus at all of Divi Little Bay’s restaurants by visiting www.diviresorts.com/divi-little-bay-dining.htm. Add all of the ingredients to a blender and blend until smooth. Garnish with pineapple, toasted coconut and fresh nutmeg. Enjoy! For more delicious drink recipes, visit http://www.guavaberry.com. Go to http://www.diviresorts.com/st-maarten.htm to learn even more about this amazing island!